For the modern man! 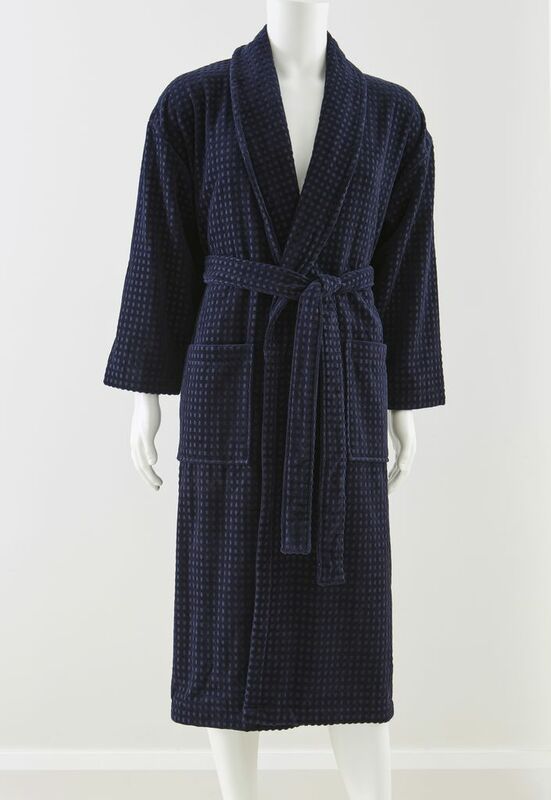 A 100% cotton robe in midnight navy with velour on the outside, and soft cotton terry toweling inside. This shawl collar robe is 400gsm and features front pocket, cuffs and small recessed squares design.